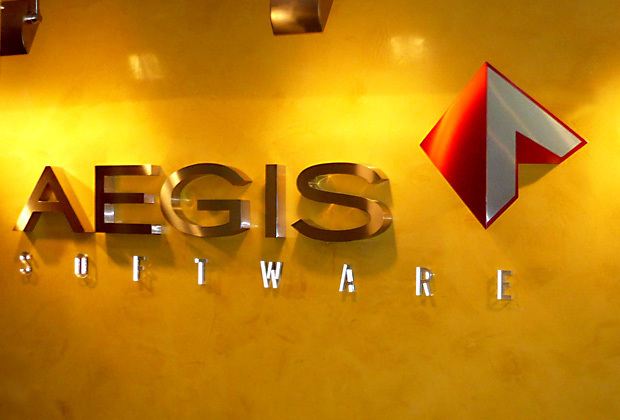 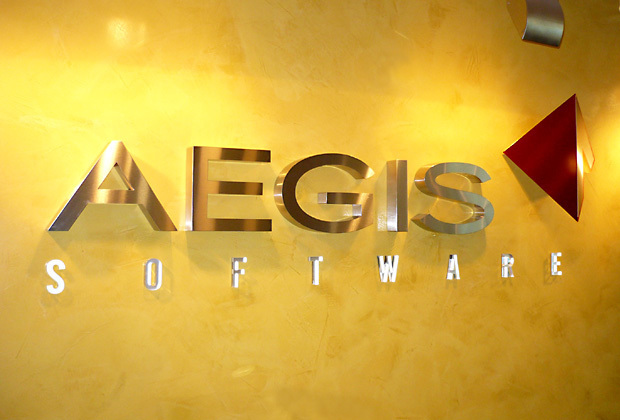 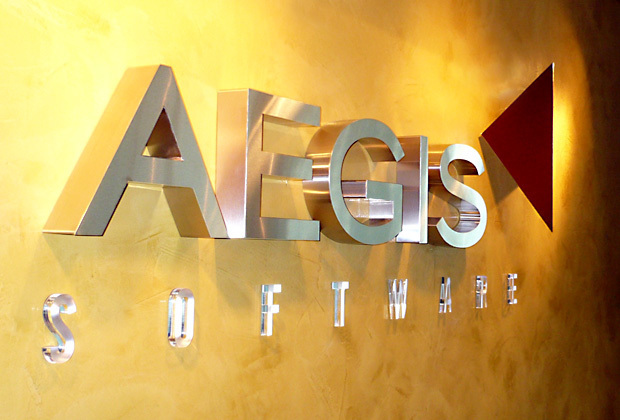 Corporate office sign - customer AEGIS Industrial Software - USA. 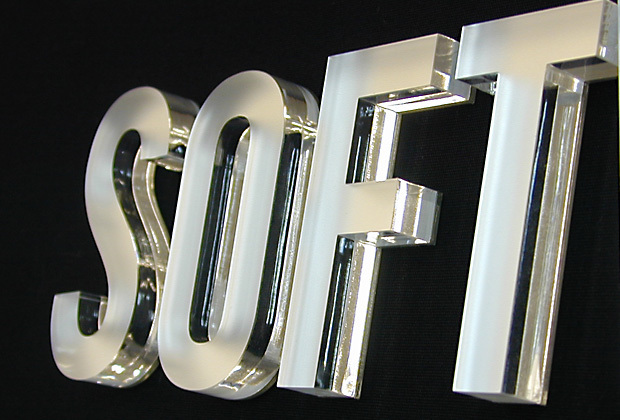 Mixture of Brushed Metal, translucent films and acrylic with our Pastel Ice Metallic® finish for "Software". 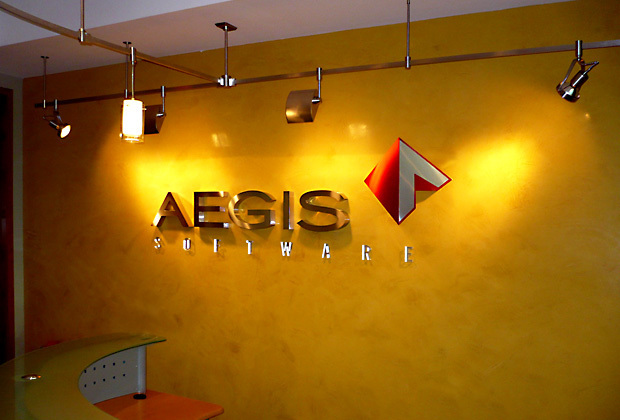 Logo and signage design carefully matched with a warm coloured background wall and custom halogen spot light lighting from above.